Cricket is an extremely popular game in India despite the fact that the national game is hockey. Cricket over the past few decades have become a mass hysteria among its fans especially when India plays against foreign teams. Most people however do not go to the stadium to watch cricket match in India. Instead they choose to stay at the comfort to of their home since all matches are telecast live on both National Network as well as sports channels. Use the unique online invitation tool of Yoovite.com to invite your friends and relatives who love cricket to your house and throw a live cricket watching party. 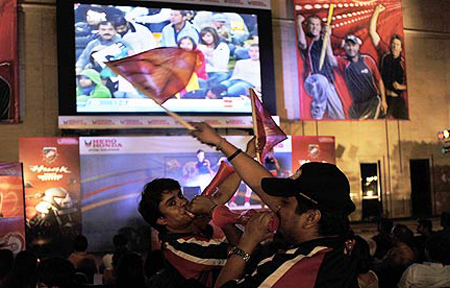 Cricket fans would love such events since they get a free party as well as get to watch their favourite game. 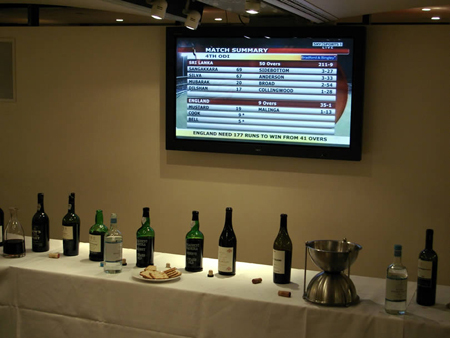 Everyone would know the date and time of the cricket match but no one would know that you are throwing a party alongside watching the match. Hence, an invitation is necessary. You can’t just ask your friends to come over. You need to make proper plans. The foremost is your TV. 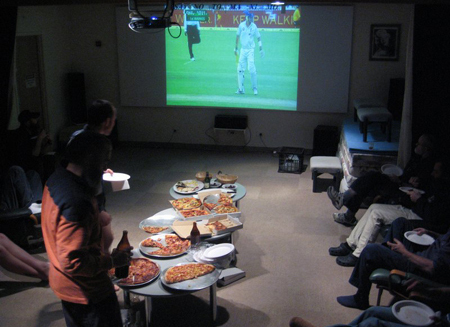 You don’t want your friends to come and watch cricket on a 15 inch CRT. Invest on a good widescreen plasma TV if you can. You can also ask your family members to contribute if they are fond of watching cricket live. You should call only a minimum number of friends since there is only 1 TV and having 50 people in the room won’t help. Some people like sitting on the floor while watching cricket, so put a nice carpet in front of the couch. Further, get 3 or 4 couches ready with a table in the centre. Mostly it is snacks that you eat during a cricket match. You can arrange several packets of Lays, Cheetos, Kurkure, Fried Cashews, Peanuts, Banana Chips, Moong Dal, Bhujia, popcorn etc. as simple snacks. However, if you want to serve something hot you can cook sufficient amounts of French Fries, fish fingers, spring rolls, chicken nuggets, meat balls, burger, sandwiches etc. It is useful to add this information in the Yoovite invitation so that you can be sure that all the friends you invite come for the event. Drinks depend on the crowd you are inviting. If there are girls, you might want to restrict to soft drinks such as beer instead of hard liquor. If it’s only guys, then you can get some whiskey, vodka, white rum etc. But beer is a must and you should get many crates if it is an ODI. If you want heavy food, you can arrange it after the match. But not every one who comes will have dinner. So you must have an estimate of who is going to have dinner and who isn’t. Ordering food such as pizza would be a very good option. You can also order other kinds of food such as chapatti and chicken curry or biryani and fried rice from outside. This avoids the need for cooking and you can enjoy the match.